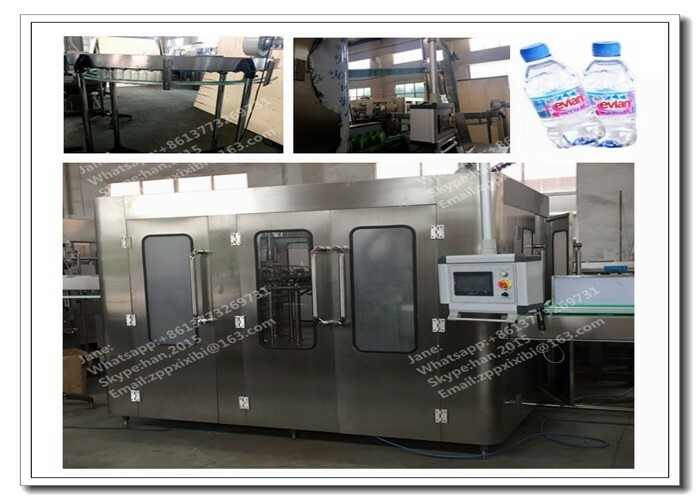 Features:This water filling machine is with bottle rinsing, filling and capping monobloc for drinking water (non-carbonated) filling.PET bottles infeed by combination of infeed grippers, equipped with bottle jam protection device, the machine applies unique overturning bottle clamp, which is an innovation of our Zhangjiagang Jiayuan machinery company . 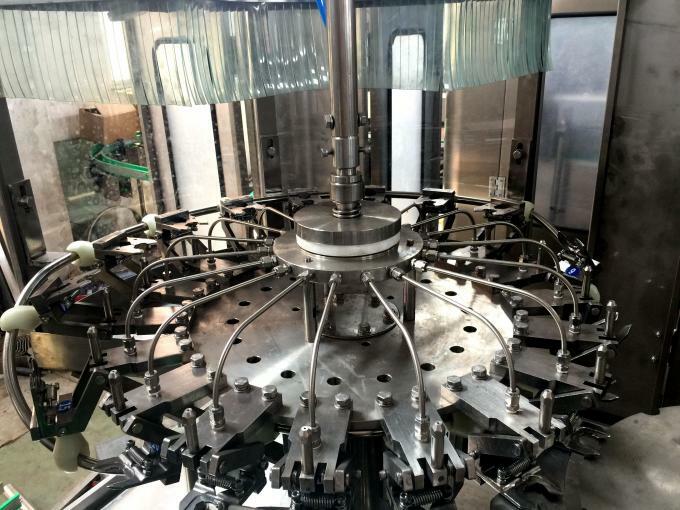 PET bottles infeed by combination of infeed grippers, equipped with bottle jam protection device, the machine applies unique overturning bottle clamp, which is an innovation of our company. This bottle clamp grips bottle at neck postion, avoiding bottle mouth thread comtamination caused by rubber gripper block of a traditional bottle clamp. This part is made of SUS 304 stainless steel, the bottle clamp is hygienic and durable. 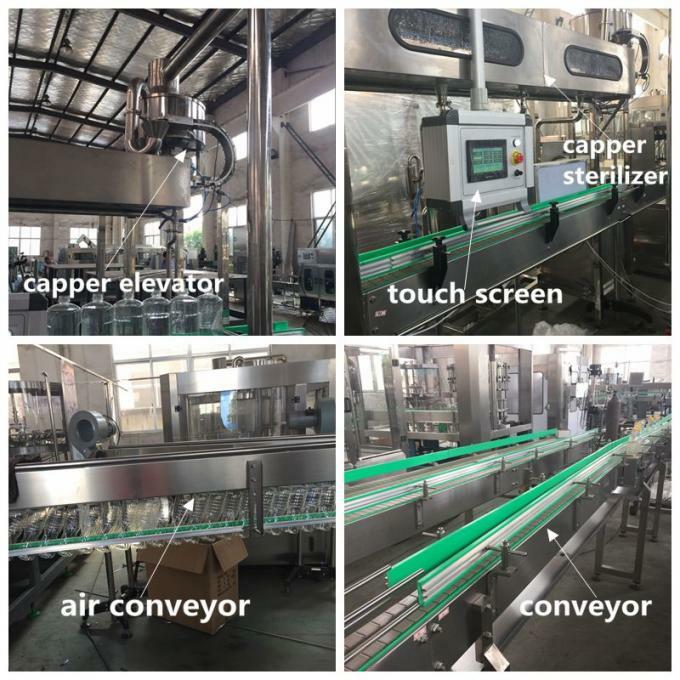 The high efficiency atomizing spray nozzle installed on bottle clamp is capable of cleaning any part of bottle inner wall, and aso saves rinsing water. All sliding bushes of lifting device use anti-corrosion maintenance free bearing and the rinser is driven by driving system positioned inside machine frame via gear transmission. 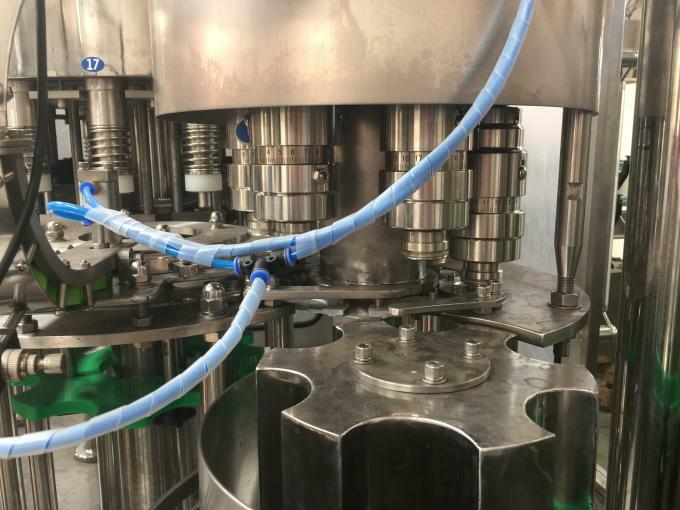 Bottle go up and down in the function of cam through elevator to process filling with contact to bottle-mouth. Cap distributing chute is equipped with a photocell switch to stop the capper when there is no cap inside the chute. 2.we have been certificated by the famous cercification authority. 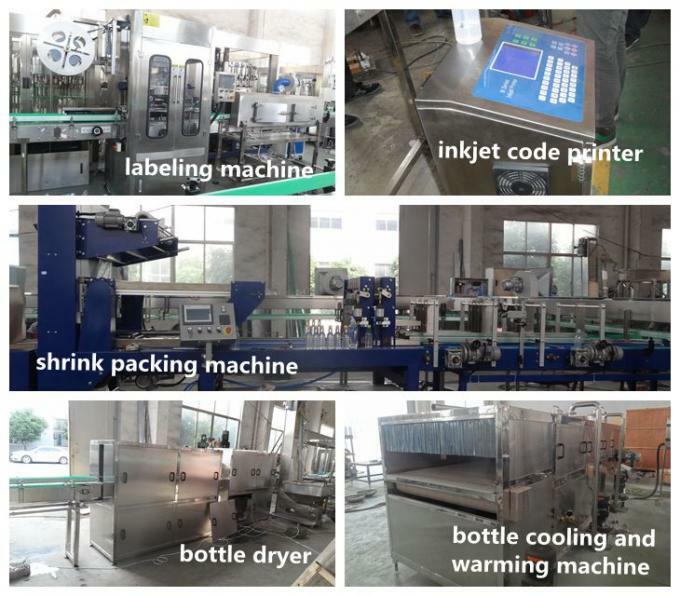 3.we have been in beverage packing more than 10 years. 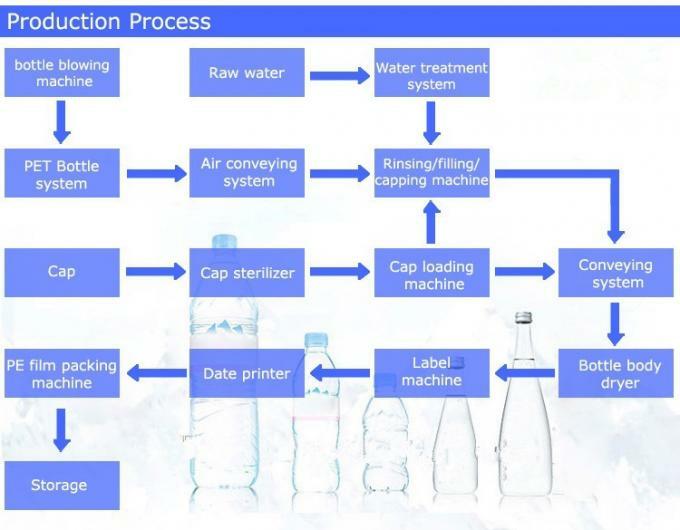 4.we can help you to start a new company in beverage making. 5.we make all of our customers be satisfied with the machine and our service. 6.we will install the machine for you ,and train your employees to use the machine well. 7.we will provide one year warranty with free spare parts. 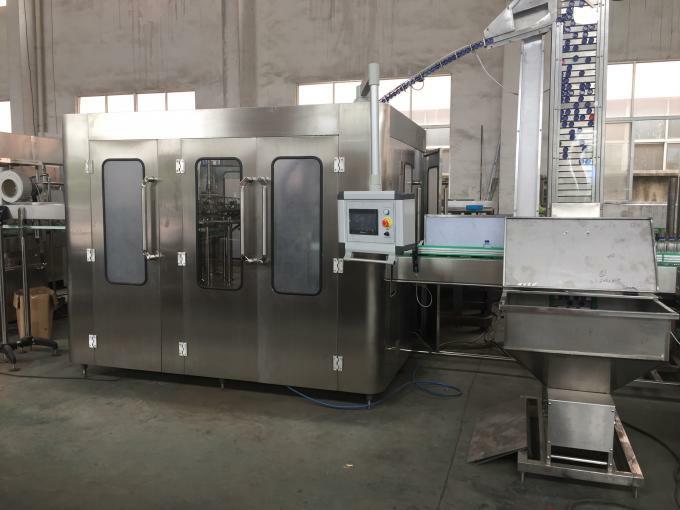 Any question about this machine or our factory ,contact with us please,sincere service for you .we will send you more pictures and video about this machine,and welcome to visit our factory to see the machine running in the factory. 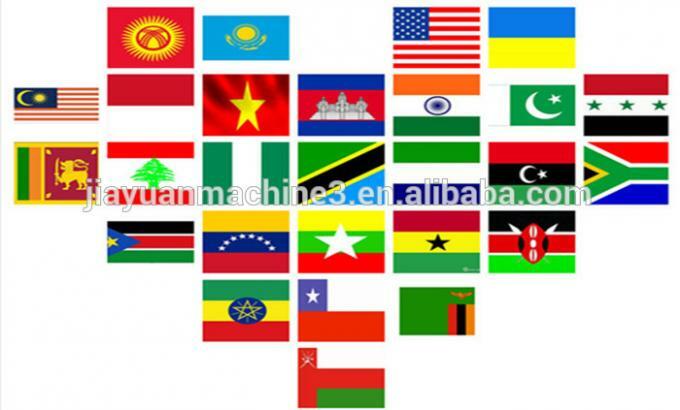 Our machine has been sold to more than 40 countries,almost of the customers are satisfiedwith the machines and our service. 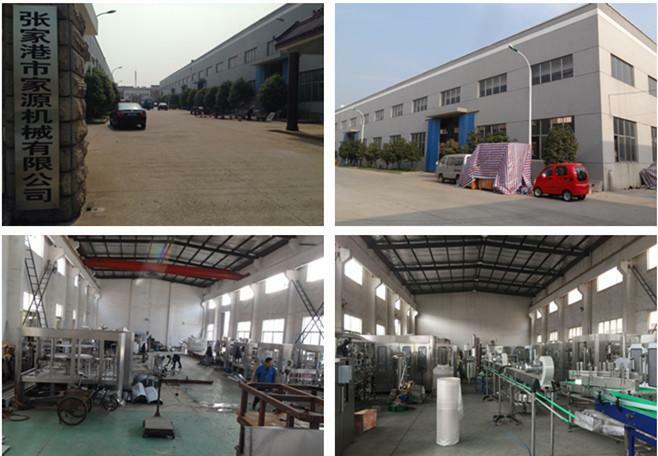 Jiayuan company was established in1997,and for years we have been focusing on the improvement in machinery theory and performance in the food machinery industry.we have such as CE,ISO etc certification.we are a company integrating scientific research,production and service,and have the best manufacturing facilities and production process,professional staffs,imported facilities of concentration distill series,automatic CIP series,PLC control etc.Now we have been a market leader in the Chinese food machinery industry.The company keeps in mind the tenet of "serving users" and focus on research and development of new technologies.It has comprehensive development capacity and sound quality assurance system,and has made R&D achievement and obtained invention patents.Our machinery are widely sold in China,and exported over 20 countries,adn gained favorable feedback from users.Our major engineering projects include complete dairy products production line,beverage production line,biochemical engineering production line. 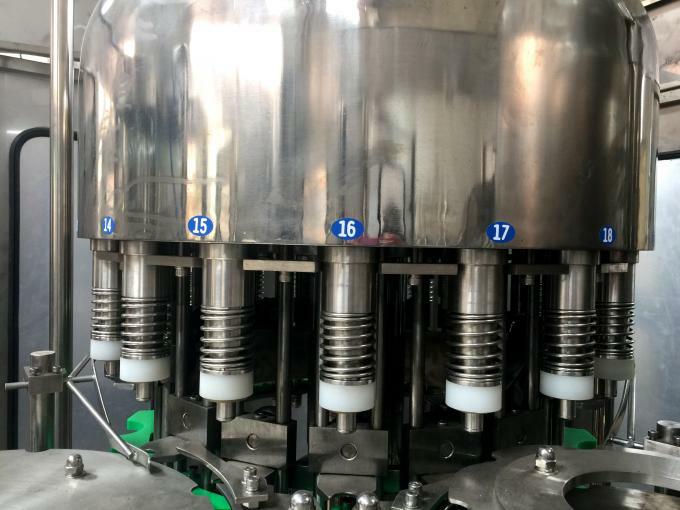 1.HOW MANY BOTTLES DO YOU WANT TO FILL PER HOUR? 3.YOU WANT THE WHOLE LINE OR THE SINGLE FILLING MACHINE?